Selecting your plastic surgeon is an important decision; Dr. Godwin understands this and therefore combines his highly skilled surgical techniques with a personalized approach to patient care. During your extended face-to-face consultation with Dr. Godwin, he will spend as much time needed to make you feel understood and empowered. 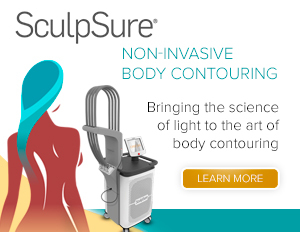 We know you have a choice in your plastic surgeon and we respect that, that is why Dr. Godwin and his staff make it their mission to make you feel connected, cared for and comfortable throughout your entire experience with us. We want you to feel the genuine care and compassion that Dr. Godwin and our staff have for you as a person. Artistic…google defines this as “having or revealing natural creative skill”. It is this natural creative skill that Dr. Godwin reveals to every single patient that he treats. Whether he’s performing a botox injection or a face-lift, skin care advice or a mommy makeover; his patients benefit when artistry combines with the highest level surgical training and experience. Dr. Godwin’s patient’s walk away with results that are naturally beautiful without the telltale signs of plastic surgery. A trademark of a truly gifted surgeon is the ability to have natural looking results that exceed a patient’s expectations. Dr. Godwin delivers this to his patients time and time again. Many surgeons can learn the steps to a surgical procedure, but only a surgeon with a true artistic vision can take science and make it an art form. Dr. Godwin takes pride in the testimonials of patients describing him as “methodical”, “compassionate”, and having an “uncommon attention to detail”. At Godwin Plastic Surgery patients are cared for by a supportive, highly-trained staff and treated with the utmost respect in a comforting environment. Dr. Godwin knows that patients have different needs; therefore he offers a wide-range of services to enhance your natural beauty and improve your self-image. Dr. Godwin is committed to providing you with the latest cutting edge-technology and he is consistently enhancing his knowledge with the latest advancements in Plastic & Reconstructive surgery. With our centrally located office and surgery center in Yardley, Pennsylvania, Godwin Plastic Surgery offers exceptional cosmetic surgery results to men and women in Philadelphia, Montgomery, and Bucks Counties; as well as New Jersey and New York. Dr. Godwin appreciates how far his patients are willing to travel to be treated by him. We invite you to meet Dr. Godwin so that you may experience first-hand his deep commitment to his patients. We look forward to hearing from you. Dr. Godwin’s experience has shown him that when his patients feel empowered in their knowledge of cosmetic surgery they report better outcomes and overall satisfaction with their plastic surgery experience. Dr. Godwin advocates for his patients. He and his highly trained staff will support you and guide you every step of the way. Dr.Godwin makes himself 100% available to all of his patients. His genuine CARE AND COMPASSION is evident from the first consultation, through the recovery process and then finally through the last post-operative visit. 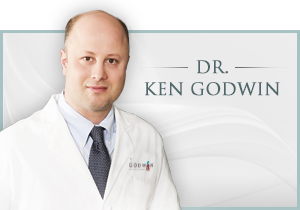 Dr.Godwin is an expert in his field and will help each patient recognize their best features and will walk them through the procedure that will best enhance their NATURAL BEAUTY and restore their youthful vitality.